After immigrating to the US, MotherFier and FatherFier built a typical American life. They went to college, got good jobs, and found themselves deeply in debt. It wasn't until they were considering building a 4,000 sq ft custom home that they woke up to discover that their American Dream was really a nightmare. Facing huge payments made them realize that this was not the life they wanted, so they started looking for alternatives. And found the FI community. They excitedly got on the hamster wheel and worked exceptionally hard. As they moved through their goals; (goals of consumption they later realized), “The American Dream” grew into a middle-class nightmare. Whether you were born right here or immigrated, the pervasive culture impresses firmly into us to “keep up.” Buy the car, buy the house, and upgrade everything as soon as you can. Americans have bills. Americans make payments. Americans build credit. MotherFier got a full scholarship to attend a very prestigious private university in Texas. She worked two jobs and graduated with BA completely debt free! Both MotherFier and FatherFier had good jobs at Bank of America. But when the Great Recession hit, MotherFier was laid off. It was a blessing in disguise. Rather than look for a new job she decided to become a Physician Assistant and loves her job. During her schooling, she gave birth to their first child just three days after her last rotation ended. She took her boards with a one-month-old at home and $148,000 in student loans. 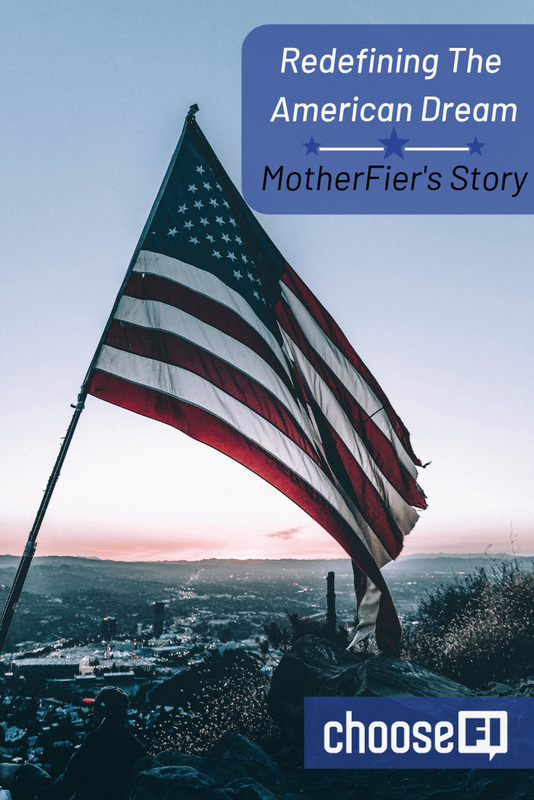 For MotherFier, the American dream encompassed a new beginning, education, happy family, and overall blissful existence. All of this sounds pretty good, right? This is where she got it all wrong–she searched for happiness in the material world. Growing up in poverty, it was important to MotherFier to demonstrate to the rest of the world that she had it all figured out. They lived in a modest 3-bedroom house which FatherFier had purchased two years after landing in this great country. After graduation and the birth of their second child, everyone around them kept telling them that their 1,700 sq ft house is too small for a growing family! So, it was time to “upgrade” from the “starter home” to the “forever home”. They began house hunting and envisioning all the perfection that would appear in their lives if they just got that new home. They dreamed of selling their existing home and building a custom 4,000 sq ft house. During the process of house hunting, they decided to take a hard look at their financial situation. 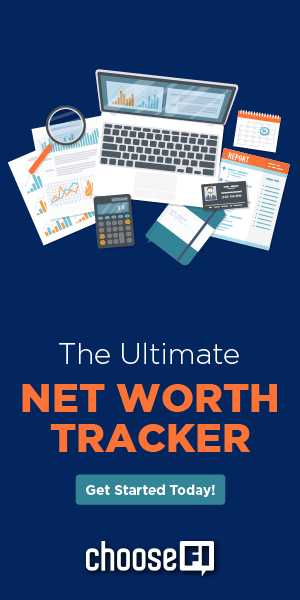 First things first, they calculated their net worth. With pencil in hand, the situation, and their future was even scarier than they had imagined. They both had great incomes, but the existing mortgage, massive car payments, medical bills, and overwhelming student loans left them with little room for much of anything else. The reality of upgrading to a new and improved home with an even bigger payment suddenly didn’t seem so appealing. Once you know, you can’t “unknow.” The realization of what they were planning on doing to themselves financially, went further than how much house they could “afford”. All of the sudden, the stunning open concept house with the white kitchen looked like a prison rather than a paradise. She was choking at this realization. They were about to fall into “The American Dream” trap again! While they were still bleeding money every month to pay the existing debt, they were contemplating upping the hemorrhaging by choice. As a person of medicine, you want to bleed less, not more! Bleed for a shorter length of time, not intentionally make longer! Wouldn’t that be the definition of insanity?! When the student is ready, the teachers (in the form of Jonathan and Brad) will appear. MotherFier was desperate for something new. And in her research, she found the FI movement. She began living and breathing FI blogs and podcasts such as ChooseFI, Mr Money Mustache, and JL Collins. New goals, dreams, ambitions, and visions of the future emerged. These new ones are life-giving, instead of life-sucking. No more victim. It is time to take charge! Finally, a movement that resists those American stereotypes! She had found her people. She could not wait to share her new knowledge with FatherFier. They sat down and talked for hours, discussing in depth how they wanted to live their own future. They talked about what would do if they had no debt. They envisioned traveling both in the US and overseas. Exploring new places gives them true joy. They wanted experiences that bring them closer as a family, not a bigger house and fancier things. They knew instantly that their dream had to be redefined. They no longer wished to be enslaved by the mortgage, student loan and car payments. They had found their why. “We trimmed the budget even more! Our $500 grocery expense was now $350 for a family of four. There was $0 budget for eating out and entertainment. We renegotiated our cell phone bill and canceled $8/month Netflix. We have decided to keep our cars, but these two will be the ones that will drive us into our retirement. Gifts have been almost non-existent. To crush their housing expense, they plan to move in with FatherFier’s mother. The positive equity they get from the sale of the house will be enough to pay off the entire student loan debt and both cars. They are so close to being debt free. Zero net worth never sounded so good! Suddenly, the opinions of others on how they need to live their lives did not matter. They realized that consumerism is not what’s best for their family. The realization gained from the podcasts and the blogs convinced them that they have the power over their future, which gave them courage and determination. They are here in this wonderful country, grateful to have come across this future-oriented community. Their own definition of the American dream has always been right in front of them, and they’ve replaced stuff with happiness! MotherFier is starting her own site, MyFILife, to tell her story. 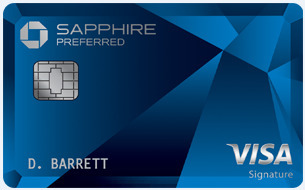 It launched in January 2019. Go check it out! What is your favorite blog? Millennial Revolution. I discovered them through ChooseFI podcast. They are inspirational, passionate, genuine and down to Earth people. Love them and their message! What is your favorite article of all time? JL Collins Stock Series. These are GOLD. What is your favorite life hack? Shop at the immigrant stores for groceries. Seafood is awesome at the Korean/Japanese stores, vegetables and fruit are super cheap at Chinese/Indian/Mexican markets. Shop for meat at the Persian/any Middle Eastern store and bread/sausage at the Russian/Polish stores. The quality is superb, but the prices are half of what you will pay at the regular grocery store. We also love Aldi they have the best chocolate, cheese and ice cream! What is your biggest financial mistake? Student Loan Debt. What advice would you give to your younger self? Spend less than you earn. Invest. Figure out what is important for you, have a life plan, be clear about your values, learn to think outside the box, don’t follow the crowd, and don’t be afraid to take action. There will always be chances to make adjustments and learn, but if you stand by, the opportunity is gone.